Author’s note: The following passage is the first excerpt from Chapter 9, “August 4th,” of my book, Summer in the Waiting Room: How Faith, Family, and Friends Saved My Life. This is the 71st excerpt in the blog series. Just five days after the tracheotomy procedure, doctors decided I was ready to move onto the first phase of recovery. The daily X-rays showed that the haze that ominously covered my lungs was dissipating. I was able to breathe with less mechanized oxygen. My heart, defying the strain caused by ARDS, weakly and steadily pumped blood to my hungry organs. The latest CAT scan and MRI demonstrated no loss of brain function. I was becoming more alert every day as the last remnants of the sedative medication left my body. Without the distraction of the vivid dreams caused by ICU Psychosis and the sedatives, I was beginning to understand what was happening. The dreams gave me bits and pieces, but I still had no real understanding of the puzzle that had become my life. I had a dream that a distinguished politician and his wife visited and gave the girls tickets to the red carpet opening of a new teen movie. While the specifics of the dream were pure fantasy, I learned that my friend, California State Assemblyman Joe Coto, did find his way into the ICU. Completely unrelated to that visit, the girls went to a popular movie that summer and told me all about it while I was in a semi-conscious state. My brain connected these separate incidents into one thought, and added the red carpet tickets. I also dreamed of a rusty pail stuck on my head with its handle serving as a tight chin strap while a hose was lodged in my throat. Perhaps that was when the doctors put me on the BIPAP machine. Following doctor’s orders, Sandra tuned the television to channels I liked and played music that would keep me brain active. Whether I was in a hot and dusty refugee camp unable to move or in a convalescent home with Frank Sinatra and Dean Martin tunes playing in the background, there were several consistent themes to my dreams. An object in my throat, the inability to move my limbs, an insatiable thirst, friends and family in weird places all desperately trying to help me out of unrealistic predicaments. As my mind cleared, I began to realize that I was in a hospital, paralyzed, with tubes and wires connecting me to all sorts of things. On August 1st, doctors removed me from intensive care to the ICU Step-Down Unit. The unit was an interim stop between the ICU and a regular hospital room. I no longer needed a dedicated nurse caring for me around the clock. Physical, occupational, and later on, speech therapy would intensify. In the ICU, therapists provided exercises that Sandra could do with me to begin waking up my muscles that had deteriorated during the month I was on the paralytic medicine. Following the therapist’s example, Sandra would lift my legs and arms, and gently raise my head up off the pillows. Rotating my ankles, she would strengthen my lower leg and feet muscles. Doctors told her that it would be a long and difficult road to recovery, but I would be able to fully function as the paralysis was related to muscles rather than nerves. I don’t have a memory of those first therapy sessions in the ICU. The day I moved to the Step-Down Unit was blurry to me. I remember my bed being maneuvered through long hallways and going into an elevator. The first floor room in Step-Down was large with a window on one side looking out into the street and a large space between the door and the bed. There wasn’t as much activity in the unit and a nurse came into check on me in regular intervals. I didn’t feel as safe as I did in the ICU. When Sandra left the room, I was alone in what seemed like a cavernous space. The first few days were uneventful. A nurse would check on me in the morning and write the goals for the day on a whiteboard. The entries included the day and date, medications to be administered, therapist schedules, and any other information doctors wanted included on that day. The nurse would ask me my name and queried me about the date. Sandra would read my lips and translate for the nurse. With the breathing tube firmly in my mouth, I would say “Eddie” without sound coming from my mouth, and then follow-up with “Not sure.” The critical care doctor would arrive not long after the nurse and update Sandra on my progress: lungs getting clearer, heart stable, and all other organs functioning. He was always upbeat and positive, assuring Sandra that I was nearly out of the woods. Later in the day, between Sandra doing repetitions of the exercises with me, the therapists would come in. They moved my limbs and tried to sit me up for a few minutes while bracing me to keep from falling. It was hard work and painful. I was no longer on sedatives and my muscles weren’t numb, so I could feel even the slightest movement of my body. On the fourth day in the Step-Down Unit, the first true breakthrough in my cognitive state emerged. I remember looking at the whiteboard, reading the entries, and understanding the content. I didn’t really understand what was going on, but it didn’t look good. That morning the nurse greeted me with a cheery “good morning” and asked me how I was doing. She followed with the standard questions, “What’s your name?” and “Do you know what day it is?” I lip-synced, “Eddie,” and “August 4th.” Although her eyes welled up with tears, Sandra’s smile was filled with many emotions: gratitude, relief, happiness. This was a pivotal moment in my recovery. I demonstrated to Sandra that I was aware of my surroundings. She couldn’t wait to report this great news to the waiting room. With that out of the way, the day went on as planned. Next Wednesday: My head was spinning when Sandra explains to me why I’m in the hospital. Author’s note: The following passage is the final excerpt from Chapter 8, “Sharks & ‘Cudas,” of my book, Summer in the Waiting Room: How Faith, Family, and Friends Saved My Life. This is the 70th excerpt in the blog series. I dedicate today’s excerpt to an old friend and coaching colleague who passed away last night after living a full life with heart disease. RIP Coach Bob Monges. As the heavy sedatives wore off, my vivid dreams manufactured by ICU Psychosis focused more and more on that nasty tube. In addition to the eucalyptus branch, I dreamed of chewing on rubber hoses and McDonald’s straws, and trying to pull out steel pipes that stuck out of my mouth and lodged in my voice box. As I awoke from the surgery, I instantly felt relief. The small tube inserted into my throat at the neck was held in place by a “trach-collar.” The collar stabilized the tube so that it could be connected to the respirator. Studies have demonstrated that the trach-collar is the most effective path to wean patients off of mechanized breathing. It also relieves pressure on the vocal chords and minimizes additional damage to the voice. When Sandra reported to the waiting room that I sailed through the operation with no complications, there was a collective feeling of optimism and hope. For more than a month, the waiting room inhabitants had been in a constant state of alert. Every new procedure led to some obstacle that created additional fear and concern. As the hours ticked away, Sandra continued to share good news that the tracheotomy was working. That evening, the waiting room buzzed in an almost festive mood. The doctor later told me that Sandra was an “incredible woman.” She was a savvy and well-informed advocate, he went on to say. Her questions were always on point. Once she made a decision to move forward with a recommendation, there was no turning back. In a positive way, Sandra was “intimidating,” he said. Her keen understanding of the issues related to my condition once again led to forward momentum. During the next hours and days, I continued to show improvement. My oxygen numbers stabilized even as respiratory therapists decreased the amount of oxygen the respirator sent to my lungs. My mind continued to clear as the remnants of the strong sleeping medicine dissipated. I wasn’t yet fully aware of my paralysis predicament. It hadn’t dawned on me that I wasn’t eating, drinking, talking, or going to the bathroom. But, I was beginning to recognize a rhythm to the ICU and distinguish between day and night. Early each morning, an X-ray technician would come into my room to provide doctors with the latest images of my lungs. I could hear the slow rolling of the heavy mobile X-ray machine lumbering closer to my door. That sound was the signal to the start of a new day. The technician, with the help of a nurse or other staff member, raised the bed to a 45 degree angle and held my listless body upright to slide the X-ray tray between my back and the bed. The tray, cold and hard against my skin, would stay in place so the technician could take the picture. The unit would come alive later in the morning as a kaleidoscope of sounds would fill the air: the sticky sound of rubber-soled shoes quickly walking across the polished linoleum floor, the slow and steady ding-dong at the nurses’ call station, doctors, nurses, and technicians exchanging directives and coming in and out of my room to do tests or change the medication that flowed from the IV forest that surrounded me, the public address system paging doctors, the beeping and whirring of the machines that sustained my life, and the small wheels of the cleaning crew carts rubbing against the floor as they went from room to room. When Sandra left the room, I became anxious. There were few sounds that soothed me to let me know that she was on her way. Amid the cacophony of activity, a loud buzz followed by a distinctive squeal alerted the ICU that the heavy wide doors leading into the unit were opening. Seconds later, I could hear the zip-zip sound of the electronic hand sanitizer outside of my room dispensing its cleansing foam onto someone’s hands. In would walk Sandra, sometimes alone and sometimes with someone from the waiting room. I would feel at ease and my anxiety would go away. I knew when evening and night arrived as the sounds of the day subsided and the movement of people in an out of my room decreased. When Sandra was visiting in the waiting room with friends or out at dinner with family, the only person I saw was the night nurse on duty right outside of my door. Suddenly, the squealing ICU doors and the zip-zip sound of the sanitizing machine made me feel warm and safe as Sandra brought the girls in to say good night followed by the small parade of family and friends that usually included my brother Steve, Rudy, Will and Juanita, and others. The Peraltas would come in signaling the end of the night. For the next several days, the routine stayed in place. The tracheotomy was working. Respiratory technicians, on doctor’s orders, regularly decreased the amount of oxygen flowing to my lungs, hastening the weaning process. The waiting room became livelier as my condition showed promise and improvement. To everyone’s amusement, Pancho was the de facto concierge of the waiting room. With his boisterous personality, he answered phones, directed families to the right place, and soothed the fears of others whom also had loved ones in the ICU. The room would erupt with laughter when strangers went to him for directions for gaining access to the unit. The stockpile of food and drink kept growing. A variety of water, juices, and soft drinks was available to whoever happened to walk in. The food was getting better. One night a parent from Sandra’s school brought in her homemade tacos that were the talk of the waiting room for weeks. Six years later, Miguel, Eddie, Pancho, and Mariano still rave about the Mexican treats. Sandra’s friend Rosa Garcia always made sure that coffee and pastries were ready for those who stayed late into the night. Sandra steered the ship. The García girls banded together. Shelley and Rudy kept the room laughing. Mr. Peralta, Val, Eddie, Miguel, and the Medinas quietly provided moral support. Mrs. Peralta, Kim, and Rudy led prayers. My recovery was a true team effort. Hope and faith filled the waiting room as July turned to August. I went for an annual physical with my doctor at Kaiser Santa Clara Medical Center today. Dr. Aaron Williams has been my doctor for over a decade. He’s a great guy and an outstanding doctor. In addition to keeping me on track, I always enjoy our visits. This time was no different, especially after he gave me a clean bill of health. As is my custom after the yearly visit, I walked through the medical center to the intensive care unit. The way to the hospital is a familiar route. Five years ago, a nurse whisked me in a wheelchair to the emergency room taking the same path. This morning, as I walked by the ceiling to floor windows that line the causeway between the clinic and the hospital, I began reflecting on that life-changing day. For the past two years, I’ve been writing about that day in Summer in the Waiting Room, How Faith, Family, and Friends Changed My Life. The story is about my life growing up in a working-class neighborhood, tirelessly chasing the American Dream, and surviving a summer in the ICU with God’s help and the support of my family, friends, and an amazing medical team. I haven’t finished the book. I’m stuck on the last part. Writing about my life experiences and the 100-plus days in the hospital was easy to do. Translating what it all means has proven to be more challenging. My thoughts on life, faith, and gratitude evolve almost on a daily basis. Since that fateful summer, I’ve met many people who have made a meaningful impact on me and brought focus to my life’s true purpose. They’re an important part of my story about hope and redemption. I’m still trying to make sense of it all. This brings me to my annual ICU pilgrimage this morning. The ICU occupies the second floor of the hospital at Department 230. I called this place home from June 18, 2010 through August 1, 2010. The cold avocado green walls and shiny antiseptic linoleum floors give me the same sense of warmth and comfort as my childhood home. While these feelings seem contradictory, there’s a simple explanation. For me, this is sacred ground. For six weeks during the summer of 2010, I clung to life behind the plain white double doors that open up to the unit. In an adjacent waiting room, my family and friends, prayed, laughed, and cried in faithful vigilance. In the bowels of the unit, doctors, nurses, therapists, and nursing assistants waged a daily battle to keep me alive. The names of those I remember are forever seared into my grateful consciousness: Drs. Mendoza, Rajan, and Fisk. With the expertise of a team of rehab therapists – Suzanne, Sonia, Christine, Jennifer, and Mark – I learned how to sit up, walk, talk, and eat all over again. I stay in contact with many of them to this day. During my visits to this special place, I sit on a silver aluminum bench outside of the ICU and reflect on those names and the faces of an army of nurses whose names are too many to remember. I say a prayer and thank God for bringing these special people into my life. Sometimes, I’ll see a familiar face pass by. Today was one of those days. As I got up to leave, a man in green hospital scrubs was making his way through the hallway. We made eye contact and gave each other that “I know you” look. Seeing his nametag, I remembered him immediately. When I was learning how to stand up, he was the rehab assistant who helped the therapist lift my listless body. He was with me the day I took my first steps with the help of parallel bars. His name is Mark (not the same Mark who is a physical therapist). I mentioned my ICU experience with him. I could see his brain trying hard to remember me. During the difficult therapy sessions when I struggled to stand, I used to joke with him that I would come back someday so I could express my appreciation over a Coors Light on tap in a tall frosty glass. When I reminded him of that, he broke into a wide smile and we instinctively embraced in a bear hug. I still feel the warmth and comfort of this sacred place. It’s called gratitude. My story continues to write itself. I’ve been telling readers for almost a year that I will soon publish my book. I just need to make sense of events like today. My brief visit with Mark has given me renewed energy and purpose to finish writing my story. I’ll get it done. I promise. In just a few days, I will celebrate the 5th anniversary of the day that changed my life. I haven’t been the same since that fateful day when a massive heart attack wrought havoc on my body. Before that day, I was the archetypical workaholic spending ungodly hours at the office and chasing every new potential opportunity. I loved the hectic pace of my career and the financial benefits that came along with it. Growing up in a working-class neighborhood, I believed I had achieved the American Dream. I was married to a beautiful and successful woman, had two wonderful daughters, and owned a home in the suburbs. My career was limitless as was my future earning potential. I felt like King Midas, everything was going my way. Who could ask for more? Suddenly, without warning, it all came to a screeching halt. Just like that. After the heart attack, things got worse. I spent the next 100 or so days in the hospital on a variety of life support machines. I’ve been writing about that crazy summer in the blog series, Summer in the Waiting Room : How Faith, Family, and Friends Saved My Life. As a result of the health crisis of a half decade ago, my energy level has been critically compromised. I no longer have the physical strength and vigor to work 16-hour days in the dynamic high-paced, pressure cooker environment I came to love. My limitless earning potential is now severely limited. My voracious appetite for delicious food has been relegated to a strict no-salt, low-fat, non-processed, and bland diet with few options, especially when going out to eat with family and friends. Perhaps most dispiriting is that Mark’s Hot Dogs has seen the last of me. What’s to celebrate then, you might ask. The answer is simple: life. That’s what I celebrate. It may sound like a cliché and I now wonder if people truly understand its meaning. We’re all conditioned to say that we should be grateful for life when things get tough. But, are we really ready to settle for just being alive, even if it isn’t on our own terms? That’s the eternal question of humankind. When I thought that I was the master of my own universe, I never gave the question a first thought, much less a second thought. Like most of us, I was preoccupied with career advancement, titles, and the trappings of climbing the ladder of success. Work challenges, future college tuitions, retirement, and 401Ks dominated my mind. I didn’t have time to consider the meaning of life, so I left that to the philosophers, clergy, and people who I thought were afraid to confront the realities of the world. Now I think about it all the time. And it’s a blessing. During the past two-plus years, I’ve been on an amazing spiritual journey. I’ve stopped asking God “why?” and now reflect on “what.” What does He want me to do with this life he saved five years ago? What can I do to better appreciate His gift? What does He have in store for me today? I know I’m in for a long voyage, but I’m ready for the ride. Earlier this spring, I announced on this blog that my book about that summer five years ago would be finished this summer. I had planned to end the story with my triumphant return home from the hospital. However, my spiritual awakening has been an important part of the ongoing story that began the day that changed my life. So I’m re-writing the final part of the book. For those readers that don’t subscribe to a particular religious belief, fear not. My reflections aren’t designed to change your own beliefs. The final part of the book will be about faith, destiny, and my perspective on the eternal question. In the meantime, if you have a moment, join me in celebrating five years of life. Click on the links below for the previously posted excerpts that chronicle that life-changing day in June. With that resolved, I turned to Sandra as she sat next to me holding my hand. Breathlessly, I told her that everything would be fine and that we would get through this crisis, even though I kept the doubts to myself. She agreed with my assessment citing her absolute faith in God. If for some reason I were not to survive, I asked her between breaths to please make sure that the girls never stop dreaming about their future. They should remember that they had the ability to accomplish anything. I also told her how I wanted to celebrate my funeral: a conjunto norteño serenading family and friends with my favorite songs (especially the upbeat happy tunes), Barbara would give a eulogy about my childhood, George would address my professional life, and Marisa and Erica would share stories about their daddy. Doctors soon arrived to take me to perform the intubation procedure. The girls came into the ICU to pray with me and wish me luck. The procedure was standard stuff. A nurse would give me a small dose of LORazepam to keep me lightly sedated and Vecuronium to relax my muscles so the tube wouldn’t be so uncomfortable. Once my oxygen stabilized, I would be able to undergo the CT scan. In the meantime, my lungs and body could rest. The doctor said that I would be alert enough to receive visitors, watch TV, and communicate with doctors once the procedure was complete. In a semi-conscious state in the operating room, I resisted the doctors and struggled to prevent the insertion of the tube. With the pipe securely in place, I continued to twist and turn trying to free my hands to take the tube out. Doctors made a critical decision to sedate me heavily and medically paralyze my body to prevent movement. Even with the ventilator sending air to my lungs, oxygen saturation levels dipped every time I moved. It was clear to the doctors that the ventilator would be useless if I continued to fight the equipment that was keeping me alive. The higher dose of sedatives put me into a deep sleep. Until the cause of my lung failure could be identified and resolved, I would have to remain in a medically induced coma. The administration of strong muscle-relaxing medication would keep my body still, ensuring that the mechanical ventilator breathing for me could effectively deliver badly needed oxygen to my vital organs. Both actions came with potential for long-term side effects to my brain and body. Research has demonstrated that patients remaining in a medically induced coma for an extended period of time could suffer a loss of cognitive skills, permanent brain damage, or worse. Every day I remained paralyzed, muscle memory would deteriorate and my ability to physically function would be compromised. When the lead doctor emerged from the operating room, he explained to Sandra what steps were taken to stabilize my situation. Without emotion and with strength of character that could only be sustained by unconditional faith, Sandra intently listened to the report. My medical condition took another turn toward the unknown, to a place that even the doctors admitted was new territory. Although my heart was in a critically fragile state, it was secondary to the inexplicable virtual shutdown of my lungs. Despite everything that my body had endured during the past three weeks – heart attack, cardiac arrest, and dangerously low oxygen levels – there could still be more complications and surprises to come. The cardiac team had been relieved of its duties for the time being and the pulmonologists and critical care staff would work around the clock to address the lung issues. The next 72 hours would prove crucial to my survival. I was back in the ICU resting while connected to the machines that kept me breathing and a myriad of IV tubes that fed, medicated, and monitored me. Numbers across a computer screen provided minute-to-minute updates of my heart rate, temperature, blood pressure, and oxygen saturation. The beeping and whirring sounds of the machines musically accompanied the sharp green lines and flashing LED lights that danced on monitors in a mesmerizing ballet displaying even more information for the medical team. A nurse was stationed in my room with one eye on me and the other on the devices surrounding my bed. With hospital personnel moving about the room, the scene looked like a war room preparing for the battle of a lifetime. Just yards away outside of the plain white double doors and inside the single door that led to the white and avocado green ICU waiting room in Department 2300 at Kaiser Santa Clara Medical Center, everyone gathered – the extended Peralta family, my sister Barbara and her family, Rudy and Melody, Will and Juantita, and many others – to wait for news from the operating room. They were once again stunned when the doctor provided an update on the situation. In the eerie quiet that followed, the group instinctively formed a prayer circle, held hands, and silently urged God to intervene. Author’s note: This passage is the conclusion of Chapter 5, “Buen Corazón,” of my book, Summer in the Waiting Room: How Faith, Family, and Friends Saved My Life. THIS IS THE FINAL EXCERPT IN THE BLOG SERIES! You can catch up on what you missed by clicking on the image above. The rest of the story will be published in the book, Summer in the Waiting Room: How Faith, Family, and Friends Saved My Life. Make sure to get your copy when the book is available later this summer. FEEL FREE TO SHARE THIS STORY WITH YOUR FRIENDS! With heartfelt gratitude, thank you for reading. Author’s note: The following passage is from Chapter 5, “Buen Corazón,” of my book, Summer in the Waiting Room: How Faith, Family, and Friends Saved My Life. This is the 50th excerpt in the series. THERE IS ONLY ONE MORE EXCERPT LEFT! The conclusion of Chapter 5 and the final excerpt in this blog series will post next Wednesday, February 11, 2015. Look for the book, Summer in the Waiting Room: How Faith, Family, and Friends Saved My Life, scheduled to be published and available later this summer. To catch up on what you missed, click on the image above to read excerpts#1-#49. In a panic, I tugged and pulled at the restraints holding the mask in place desperately trying to unwrap it from my head. I didn’t want die in such a vulnerable state. The straps were tight and seemed to be configured in a complex pattern so I couldn’t figure out how to disconnect the mask. I couldn’t hear anything because of the hurricane blowing in my face, but I could see the red and green LED lights from the monitors bouncing up and down in a haphazard dance. Within seconds, the nurse burst into the room and attempted to soothe my fears. He was a young Asian-American man in his late 20s named Louie. He had a comforting bedside manner and calmly explained that the BIPAP mask would help me breathe and get better. Undeterred, I continued to tug and pull at the mask. Louie never lost composure and continued to assure me that everything would be okay. Sandra came into the room right away to help the nurse calm me down. She lovingly caressed the top of my head and added her assurances making me feel safe and comfortable despite the roaring windstorm inside the mask. With Sandra by my side, Louie administered a strong dose of sedatives that would help me sleep through the storm. The next morning I was back on the clear non-breather mask struggling to catch my breath as Sandra and I waited for the doctor to outline the plan of action. The doctor arrived with grim news, oxygen levels continued to drop even with the BIPAP machine. She suggested that a CT scan would help them better understand the cause of the lung issues. A Computer Tomographic scan is a technology that uses computer-processed x-rays to produce an image of virtual slices of specific areas of the scanned object, allowing the user to see what is inside it without cutting it open. However, the doctor couldn’t approve the scan until my breathing stabilized, so she recommended re-intubation. My first reaction was negative, in my mind I said “hell no!” The intubation tube was a hundred times more painful that the BIPAP machine. After further explanation and thoughtful reflection, I realized that I had no choice. Re-intubation was the only way to keep me alive while doctors tried to figure out what was wrong with my lungs. After a barrage of questions and satisfactory answers, I gave my approval to do the procedure. The doctor scheduled the intubation for later that afternoon and left me and Sandra in the room alone. After all we had been through in the past three weeks – the heart attack, congestive heart failure, cardiac arrest – I finally came face-to-face with the prospect of dying. In just a few minutes, an eternity of thoughts swept across my mind. What would happen to Sandra and the girls? Sandra would be fine I reasoned, but the girls were still in their formative and impressionable years. With unconditional love and support from Sandra and the Peraltas, they should be okay I hoped. My relationship with God was still forming, so I thought and reasoned instead of prayed. Unconditional faith wasn’t yet part of my being and my vocabulary. I still wanted answers that were clear and logically determined. Since Sandra was the one who maintained unquestioned faith, I believed that the moment required pragmatic thinking on my part. Answers came quickly: I had life insurance so they wouldn’t have to face financial hardship, especially with Sandra’s financial discipline and savvy. Sandra was young enough to find another mate if she wanted and smart enough not to let a negative person into the girls’ lives. The Peraltas would wrap the girls in a cocoon of love as tight, or tighter, than the one I had at Viewmont Avenue. Convinced that everyone would be safe and sound, I began to relax and not fear death. Surprisingly, I wasn’t scared and felt like I would come to terms with dying. The worst case scenario was that I would go to sleep and not emerge from the sedation needed for the procedure. With my growing, although far from mature, bond with God, and my concerns resolved through solid reasoning, I was prepared for whatever lay ahead. Little did I know that Sandra’s faith would be a much more powerful force than any rational thoughts I could conjure up. Next Wednesday: The FINAL excerpt of the blog series!! Author’s note: The following passage is from Chapter 5, “Buen Corazón,” of my book, Summer in the Waiting Room: How Faith, Family, and Friends Saved My Life. This is the 49th excerpt in the series. THERE ARE ONLY TWO MORE EXCERPTS LEFT! The conclusion of Chapter 5 and the final excerpt in this blog series will post on February 11, 2015. The book, Summer in the Waiting Room: How Faith, Family, and Friends Saved My Life, is scheduled to be published and available later this summer. Stay tuned!! To catch up on what you missed, click on the image above to read ALL excerpts. On the morning of June 26th, two days after my transfer to the ICU, the cardiac team of doctors came into my room with encouraging news. Although my heart was badly damaged by the June 7th heart attack, the complex concoction of heart, blood pressure, blood-thinning, cholesterol, and diuretic medicine appeared to be working. The ejection fraction measurement of heart function was well-below the normal range, but stabilizing, and other organs, minus the lungs, were functioning well. As a result, the cardiologists concluded, there wasn’t a need for a heart transplant, and once the lung issues were resolved, I could lead a slower, but somewhat normal life after the ICU. One of the cardiologists working on my case was a smart, petite, soft-spoken woman who was born and educated in India. Her engaging smile and the optimistic look in her eyes exuded the seemingly conflicting qualities of confidence and humility which provided a sense of hope and comfort to me and Sandra. As a self-proclaimed information hog, I peppered her with questions about heart function and the pros and cons of a heart transplant. The doctor addressed each inquiry with patience and clarity. Sandra and I later asked her if she was available to be my cardiologist, to which she readily accepted. Just as the cardiologist and her colleagues were summarizing their conclusions, I suddenly began having more difficulty breathing. For the past few days, my oxygen saturation percentage had been hovering around the high 80s to low 90s, which wasn’t good, yet not alarming. When oxygen levels dipped below 90%, the monitors emitted a high-pitched sound that beeped every second or so. Immediately nurses and respiratory technicians would come into the room to determine if any adjustments were needed to the airflow. My breathing became more labored by the minute and the high-pitched beep became a steady ring. The cardiac team left to make room for a team of respiratory therapists and pulmonologists. Doctors struggled to understand what was causing the low oxygen levels for the next two days. Respiratory technicians replaced the high-flow tubes that sent oxygen through my nostrils with a non-breather mask that covered my nose and mouth to generate a more concentrated flow of oxygen into my lungs. The clear mask uses elastic straps around the ears and head to keep it in place and a rubber strip around the edges to prevent patients from inhaling any room air. When patients inhale, a valve opens up to allow 60-80% concentration of oxygen to be delivered. For about a day, the mask seemed to do the trick as my saturation levels stabilized in the low 90s. Each movement of my body or a sudden cough would send oxygen levels plummeting into the 70s. I remember breathing heavily trying to catch my breath and looking at the monitors to see my oxygen level at 73%. I labored with each breath while doctors and nurses adjusted the inflow of air and drew blood to do more tests to find answers to my lung problems. Pneumonia and infection were ruled out with each returning test result. Although Sandra tried to maintain hope and faith, I could see concern and worry seeping into her face. On the night of June 28th, the pulmonologist directed the nurse to remove the clear non-breather mask and place me on a Bi-Level Positive Air Pressure (BIPAP) machine to help me get through the night. The BIPAP machine is a small bedside respiratory machine connected to tubing and a facemask that helps patients breathe by completely sealing off outside air. It pushes air into the lungs and holds open the air sacs in the lungs to allow more oxygen to enter. When the nurse strapped the facemask to my head, it felt like a very tight football helmet that covered my entire face and head. With the mask in place, I felt isolated and scared as I could feel and hear the air rushing into my face with an echoing swishing sound. Suddenly panic began to set in and my mind swirled thinking about dying. I was in a completely helpless situation. I couldn’t breathe. I had this contraption wrapped around my head and face. I had no control of anything at this point in my life. If death was my ultimate destiny that night, I thought, I hoped that it would come sooner than later. Buen Corazón at home still watching over me. Author’s note: The following passage is from Chapter 5, “Buen Corazón,” of my book, Summer in the Waiting Room: How Faith, Family, and Friends Saved My Life. This is the 48th excerpt in the series. Click on the image to read ALL excerpts. The next week in the coronary care unit was a blur for me. While cardiologists closely monitored my heart to determine a plan forward, pulmonologists remained concerned that my oxygen levels wouldn’t stay consistent fluctuating from a normal 97% to a dangerous mid-80%. There was a steady flow of visitors: Marisa and Erica, the Peralta clan, my brothers David and Stevie, my sisters Barbara and Sisi, Rudy, Will, Melody, Juanita, and other family friends. I don’t recall much about what was said during that time, I just knew they were there and their presence gave me hope, comfort, and the courage to fight on. One brief visit and conversation has stayed with me since that time. My college friend Damian Trujillo had stopped in to see how I was doing to find me connected to heart and oxygen monitors that were beeping and purring behind the bed. I was also connected to a high-flow oxygen system that delivered air through narrow tubes placed in the nostrils. The pulmonologists wanted accurate and ongoing oxygen saturation readings to ensure that my body was getting the oxygen it needed. To get an accurate reading, the oxygen monitor was placed on my forehead kept in place by a headband. I’ll never forget how the ball-shaped monitor hurt as it dug into my forehead. Damian joked, “Míralo, you look all bad like a cholo with that headband.” That’s one of the few times I remember laughing during the ordeal. I later learned that he brought tamales to add to the growing stock of food in the waiting room. In the cardiac ICU, I had a hard time sleeping and my anxiety increased as sedative medicine wore off. Sandra stayed in the room with me each night only to lose sleep herself because I would be awake all night and sleep just a little during the day. Bedridden and weak, I increasingly became frustrated. My anxious mind conjured up worse case scenarios and I felt scared, especially when Sandra was out of the room. Throughout our life together, she had been the solid foundation to my workaholic dream-building ambitions. Lying in a state of uncertainty while doctors tried to stabilize my heart and figure out what was wrong with my lungs, the loneliness and helplessness without Sandra sitting next to me was demoralizing. Marisa and Erica would visit briefly to say good morning and good night. Sandra wanted to make sure that their daily routine continued as the medical crisis entered its third week. Without the sedatives, I started to understand the grave situation I was in and my spirits continued to dive. The girls would come into the room with a smile and “hi daddy,” but I could see the sadness in their eyes. One evening just before bedtime, they came in to say good night with a gift in hand, a Build-a-Bear in green surgical scrubs and hat. They named him Buen Corazon and sat him on the headboard to watch over me. He held an X-ray of a healthy heart in his left paw. They asked me to squeeze his right paw, and Marisa’s voice came out of him saying, “Get well soon daddy. We love you! Love Marisa and Erica.” Sandra’s eyes welled up with tears, and with a huge lump in my throat, I held mine back. At that moment, a range of emotions washed over me: unconditional love, sadness, fear, and a steely resolve. I smiled, thanked the girls, and told them that I would be fine. After hugs and kisses, they said good night and left the room as Sandra and I silently held hands. With unconditional love for Sandra and the girls and Buen Corazon watching my back, I felt a sense of confidence that all would end well. My heart, although seriously weak, stabilized after a few days in the CCU. Nurses prepared me and all of the monitors for a quick ride to the ICU just down the hall so doctors could concentrate on my oxygen and lung issues. That day, and the next three or four days, would be the clearest for me in some time. Leaving the cardiac ICU, I high-fived nurses and staff as my bed rolled through the unit. I got to know the people caring for me and made sure that I thanked them as I left, even if I was lying on a bed. Once in the ICU, I was reconnected to the monitors and oxygen in the room that was to be my home for the better part of that summer. In the ICU, my room was buzzing with activity. Nurses walked in regularly to check on the growing forest of IV stands holding the various medications that were keeping me going and monitor the machines and gauges that were tracking my minute-by-minute progress. Watching the LED lights blinking and rising and falling on the monitors was like looking through a kaleidoscope filled with red, green, and orange glass. Like clockwork, nurses came in to draw blood, add medication to the clear plastic bags hanging from the IV stands, and take my temperature. Cardiologists, pulmonologists, and critical care physicians checked in three times a day to report on my condition. It was an intense experience, but it was clear that the doctors, nurses, and staff were working hard to help me get better. Author’s note: The following passage is from the manuscript of my book, Summer in the Waiting Room: How Faith, Family, and Friends Saved My Life. This is the 47th excerpt in the series. Click on the image to read ALL excerpts. The next morning, I had stabilized enough to move to the coronary care unit. The dilation issue with my eye was resolved and I started responding to commands and answering questions by shaking my head (I couldn’t talk with the tube blocking my vocal chords). Despite the fact that I was alert and responding, I don’t remember much in the hours and days following the cardiac arrest episode. My sister Sisi arrived that morning. While she and Barbara were in the room with me, I used my limited sign language skills to communicate with them. Barbara learned to sign so she could converse with her oldest daughter, Becca, who is deaf. Sisi, close in age to Becca, learned at a young age and studied sign language formally. So, both of my sisters are fluent in American sign-language. The first-born of my nieces and nephews, Becca stole my heart the minute I first saw her. I was just a kid and I mastered a few signs, which allowed me to talk with Becca in “broken” sign language. Barbara later recounted that I weakly signed to her and Sisi that I wasn’t going anywhere and to tell Sandra and the girls that I would be okay. Barbara interpreted my messages as a way to assure my family that I wasn’t giving up any time soon. Later that day, Erica arrived from Washington, D.C. The flight home was uneventful with her friend Maya by her side. Other than small talk and junior high school girl gossip, they didn’t say much. Just as she had been after the heart attack twelve days before, Erica appeared as though the events of the past two weeks were nothing more than a bump in the road. She later told me that faith kept her from worrying about what could happen and she believed that I would fight my way out of this. I have no memory of when she got to the room, but Sandra told me that I was alert and smiling when she walked in. Erica brought a couple of souvenirs for me, a copy of the Declaration of Independence and a baseball from the Smithsonian Institution. Sandra said I held the gifts in my hands like they were treasure. Two days after the dreadful cardiac arrest, my lungs continued to clear and doctors considered removing the intubation tube. The plan moving forward once my lungs had stabilized was to consider options to resolve my heart issues. Unfortunately, as the effect of the sedatives weakened, I beat the doctors to the punch and removed the tube myself. The tube inserted down my throat was almost a half inch in diameter and long enough to reach all the way to the trachea, which is the “windpipe” that goes directly into the lungs. I vaguely remember what it felt like to have the tube in my throat, and it’s a scary and helpless sensation. Pulling the tube out could have caused tremendous damage ripping through my windpipe, potentially scarring vocal chords and all tissue leading out of the mouth. Once again, everyone was on high alert. When news reached the waiting room of my antics, Sandra uttered two words that would be repeated throughout the summer, “Now what?” Gathering around the doctor who had resolved the issue, everyone listened intently as he explained what had happened. According to a nurse, I was getting restless and tugging at the tube, and when the nurse turned away, I yanked it out. Scrambling quickly to stop any bleeding from the throat and continue providing oxygen to my lungs, doctors and nurses stabilized me and put a clear oxygen mask over my nose and mouth. To ensure that I didn’t pull the mask off, the nurse sedated me and strapped my hands to the bed to keep them from moving. When Sandra finally saw me, I was fast asleep with a mischievous grin on my face and hands tied down. She couldn’t help chuckling with renewed hope because her travieso (troublemaker) was showing signs of life. Author’s note: The following passage from the manuscript of my book, Summer in the Waiting Room: How Faith, Family, and Friends Saved My Life. This installment is excerpt #46. As Sandra waited for an opportunity to see me come out of recovery, family and friends continued to stream into the hospital. By mid-afternoon, visitors had filled the waiting room to capacity and started to line the walls in the wide hallways that led to the ICU. The waiting room was a simple and narrow rectangular space, about 25 feet long and 10 feet wide, painted avocado green along the back wall and painted white on the wall adjacent to the hallway. Four small rectangular windows hung on the white wall to allow those inside to look out to the hallway and those in the hallway to look into the room. Chairs and a few end tables scattered with magazines lined the room, a 20-inch television dangled catty-corner on the right window-side, and a telephone hung near the bathroom door on the backside of the room. The hallway was sparse and wide allowing gurneys and other medical equipment to easily and quickly maneuver through. Next to the waiting room windows, silver letters and numbers that read, “ICU 2300-2309,” adorned the avocado colored wall. To the right of the windows were two large non-descript white windowless doors that opened up into the ICU. A plain black phone and a fire extinguisher hung securely to the green wall next to the doors. The floors were made of beige and brown linoleum tiles immaculately polished so the reflection of the fluorescent lights above bounced off the surface. The wide hallway, usually quiet and serene, buzzed with nervous chatter as visitors steadily arrived on June 18th. Behind the plain double doors in the ICU, I was struggling to stay alive. My blood pressure was 40/30, morbidly below a healthy 120/80, and the oxygen saturation in my lungs maintained a level slightly above 80%. Doctors monitored me closely as oxygen levels continued to plummet. When oxygen levels consistently stay below 90%, organs begin to lose function causing irreparable damage to the body, especially brain function. Dr. Fisk explained to Sandra that the cardiac arrest episode had done significant damage to my heart and impacted my lungs. The next 48 hours would be critical for my survival. While doctors were grappling with the breathing problems, one of my eyes had dilated and caused me to be disoriented and confused. My lungs were saturated with fluid caused by the heart’s increasingly diminishing function. Blood pressure had increased to 90/60, but the heart was beating so weakly that fluid kept backing up into my lungs causing my heart to work even harder. In addition to all of the coronary drugs flowing through my veins, doctors administered Lasix, a diuretic that increases the flow of urine to help clear the lungs of fluid. The fear of my weak heart racing again or slowing to a complete stop required Amiodarone, a strong and toxic medication that prevents the heart from beating at the extremes. As the day wore on, the team of doctors decided to install a tube into my mouth, through the throat and vocal chords, and straight into the lungs to deliver oxygen to the body. This procedure, called intubation, causes extreme pain and requires patients to be sedated. With the intubation tube sending air into my lungs and the Amiodarone regulating my heart rate, oxygen levels began to rise and I began to stabilize for the time being. Concerned that the extended time with a low oxygen rate may have caused bleeding in my brain, doctors ordered a CT scan. Hours later, the scan indicated that the episode had not negatively impacted the brain or caused any bleeding. Although I was in critical condition, the ICU medical team had bought enough time for cardiologists to focus on my heart. Outside in the wide hallways with shiny beige and white floors and avocado colored walls, the crowd of visitors swelled. Before the day was over, Sandra estimated that over 100 people had stopped by to show support, pray, and offer help. Adding to our already large family, came friends from work, the community, family friends, former players from my coaching days, and Sandra’s friends. At one point, visitors filled two waiting rooms and the hallways that led to them. Hospital personnel concerned about the growing crowd asked Sandra to encourage people to leave. She told the staff that she couldn’t ask people to leave and she wouldn’t do so. I used to joke with Sandra that my funeral would be brief and attended by just a few people, but the presence at the hospital on that long day shattered that prediction. Sandra recounts how she was overwhelmed by the support. The love and prayers coming from the ICU waiting rooms and hallways permeated into the room I shared with monitors and round the clock nurses. 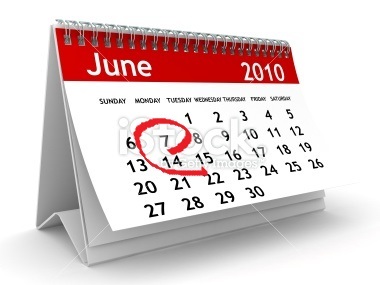 The “longest day,” June 18, 2010, finally came to an end. To the relief of all, I slept through the night.